The adoption of better AI algorithms for predictive lead scoring can certainly help many companies improve sales. A recent IDC survey indicated that 66% of respondents were implementing or considering implementing predictive lead scoring technologies as part of their sales processes. Please let us know by taking our multiple-choice survey. 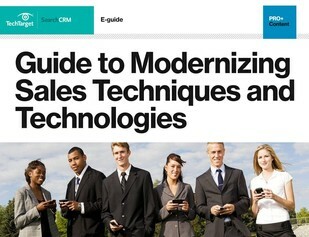 Upon completion, you’ll receive full access to our expert guide to modernizing your sales techniques and technologies to ultimately help companies suss-out opportunities and improve overall communication with customers.